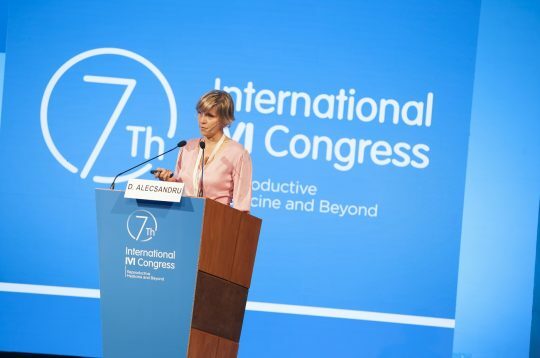 A study on immunology, used in Assisted Reproduction and carried out by researchers including Dr Diana Alecsandru, from IVI Madrid, will be presented at the 7th International IVI Congress. This study reveals the importance of matching all of the protagonists involved in ovodonation treatments immunologically. 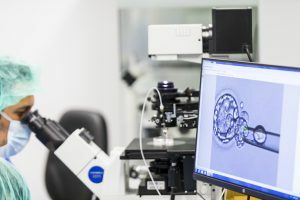 The conclusions of this research led by IVI will enable the setbacks that sometimes occur when gametes from genetically incompatible patients are combined to be minimised. One of the defining characteristics of the human race, over and above any other, is its ability to adapt. Evolution, the improvement of the species and the fight against adversity… all these contribute to our endurance throughout time and in the universe. How many times have we heard the refrain, “the human body is very intelligent”? Today, through immunology, currently one of the fields at the forefront of medicine, IVI has the chance to confirm this age-old assertion a little further. Implantation failure, repeated miscarriages and pre-eclampsia are some of the complications – occasionally with no solution – in ovodonation treatments, the source of which, in many cases, is immunological. 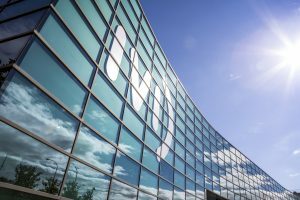 After more than two years of research, IVI has the opportunity to present for the first time an exclusive study within the framework of the 7th International IVI Congress in Bilbao. 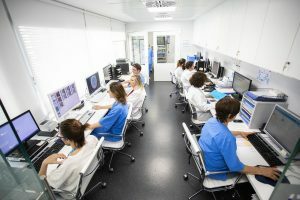 The research, which was carried out among others by Dr Diana Alecsandru, an immunologist at IVI Madrid, consisted of a study, with a sample size of 204 patients, in which all of the immunological factors that can interfere in an ovodonation treatment (mother, father, donor, previous births, miscarriage tissue if applicable, etc.) were identified and classified. In the uterus, all women have certain cells with what are known as KIR receptors. Within these there are three broad genetic groups: KIR AA, KIR AB and KIR BB. These receptors are responsible for recognising the foreign element of the embryo. In assisted reproduction using a woman’s own oocytes and in natural reproduction, these receptors only identify one foreign element: the paternal element. On the other hand, in ovodonation treatments two foreign elements are recognised, from the father and from the donor. The number of unrecognised elements can further increase in the case of more than one embryo being transferred. As human beings, we all have antigens in our cells known as HLA-C, which are split into the two large groups HLA-C1 and HLA-C2. This is a genetic distinction similar to that which can be applied, for example, to the different blood groups, but which has only recently been discovered. The study performed by Dr Diana Alecsandru reveals, among other things, that the union between KIR AA receptors and HLA-C2 antigens is a risk combination for the human race all over the world. It is here that we once again take up the refrain, “the human body is very intelligent”. 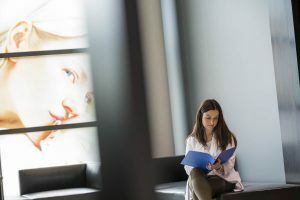 It has been shown that in ovodonation treatments, when a woman with KIR AA receptors (between 30% and 40% of European women present this specific receptor type) receives a transfer of an embryo with HLA-C2 antigens, the chances of miscarriage, implantation failure and other complications rise sharply. In other words, the uterus of the woman receiving the embryo reacts adversely when it detects that there are foreign cells in the transferred embryo, which furthermore are not compatible with its genetic load. The importance of the study by Dr Alecsandru and its conclusions lies mainly in two points. Firstly, there is the importance of carrying out a KIR and HLA-C classification, both for the mother and for the father and the donor. A simple blood test will show the genetic designation of each of the protagonists. This classification will allow the compatibility (or otherwise) between them to be discovered, in order always to be able to select the most suitable donor and align all of the individuals involved. 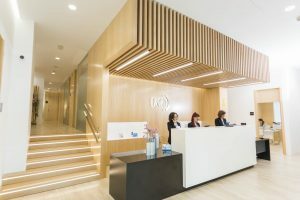 Secondly, the study shows the importance in ovodonation treatments of relying on transferring a single embryo, so that the mother’s uterus has to recognise the smallest possible number of foreign elements and there is a greater probability of increasing the pregnancy rate and of having a healthy baby. Although the results of the study come from Madrid, IVI is gradually implementing these conclusions across all of its centres (for the moment only in patients with pregnancy-related pathologies such as recurrent miscarriage, repeated implantation failure, pre-eclampsia, etc.) 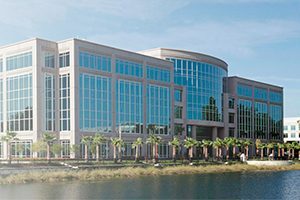 in order to continue providing its patients with the best techniques and the highest chances of having a safe pregnancy and a healthy baby.